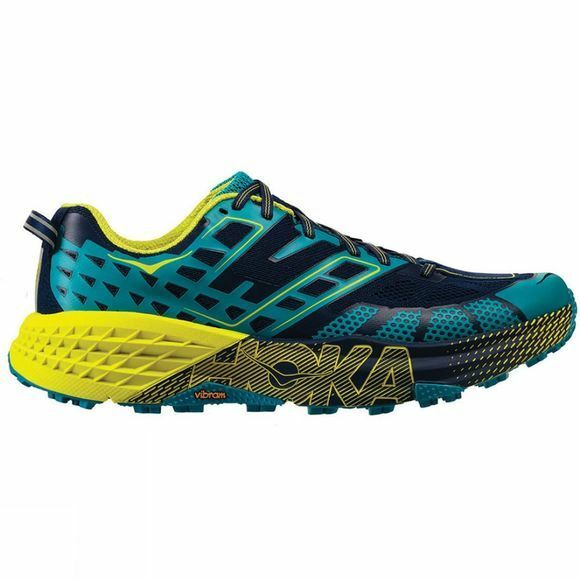 The Hoka Speedgoat 2 for men has arrived, ready to give your trail adventures the boost you need. 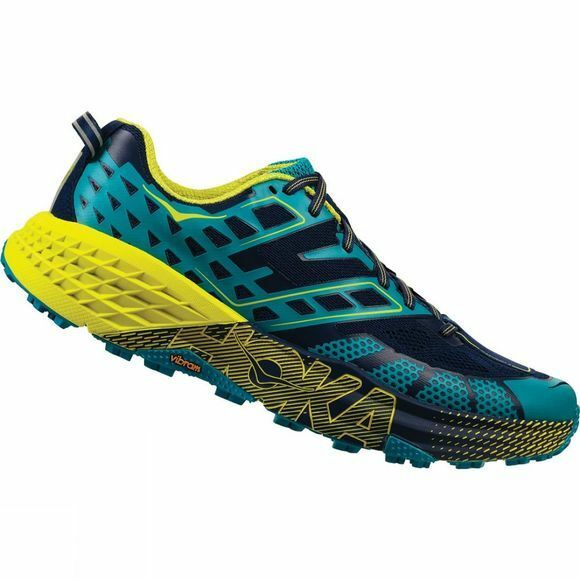 And with this bold, fully redesigned reiteration, HOKA have improved fit, stability, and durability. Built on a new last, the wider midsole creates a more stable platform for the foot and offers a wider toe box with reinforced areas where your feet need them. The outsole features deeper, more aggressive Vibram lugs which hold up to all kinds of rugged terrain, while the more forgiving upper offers improved comfort up top. The Speedgoat 2 means business. This is one fast, tough trail running shoe.